Sunset Reports is not only a great report designer, but you can use it to create static web pages that do not connect to a data source and are not really reports. To do this, you create a new report design. When it prompts you for a data source or the wizard pops up, just cancel. You will then have a blank report design. You can now use a number of controls to build your webpage. 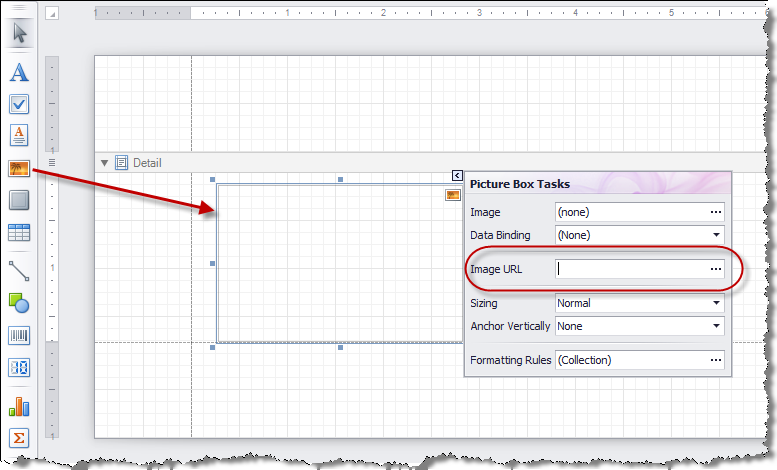 Start with a table control to organize a page. You can add rows, columns, and cells. Deleting cell s will provide a way to merge cells across columns. The sizes of rows and columns can be controlled. Once you have a rough layout, now start adding controls to the cells. A label control will give you text, but if you want to mix up the fonts, sizes, or colors within a control, use the Rich Text control. Add lines, shapes, and images. You can even add a chart if you want to add the data manually. Use the HTML View to see how it will look. You can also do a lot with borders, and styles. All objects have a Navigation Target and Navigation URL property, so adding hyperlinks is powerful and easy. The Navigation Target will be one of these values: _blank, _parent, _search, _self, or _top. The URL can point to an external page or a control on the current page. To point to the control within the page, assigning the name of the target control to the Navigation URL property, and set the Navigation Target property to “_self”. In some upcoming posts, the details of how to implement a Cloud Server with Sunset Reports will be discussed. The following diagram shows the basis of this discussion. This architecture has been used for projects where a database client was running on an iPad, and this client would synchronize with it’s server counterpart and keep a set of database tables up to date both on the iPad and the Server. Then Sunset Reports was used to create the reports needed and pushed those reports to the client on a schedule and as requested. The website http://www.itdashboard.gov/ provides the public with a view on the federal IT budget. It contains a variety of data sources and in particular provides the ability to download data to XML files. Go to the Data Feeds tab to select your data. After you download your selected file, you can choose this file from the Report Designer, using the “XML Data Path” property of the report. See the Post about XML Reporting. If you choose the Exhibit 53 data source from the website and choose all the fields, your Field List window will then look like the following figure. Here Sunset Reports parses the XML file and selects the fields in the file. Now you can create your own graphs and reports about the federal IT Budget. This is just one example of how you can get web data and feed it into a report. Here is a real cool feature of Sunset Reports. You can easily include an image from a webpage into your report. Whenever the report is run, the image is grabbed from the web and included in the report. It is current and up to date. What kind of images can be included? There is essentially no limit. Include stock charts, weather radar, traffic, or whatever is available. The secret to getting this to work is to add a Picture Box to your report. Then add the URL of the web image in the property “ImageURL”. This property supports both absolute and relative paths. An absolute URL provides the complete path and is what you will use to get a web image. Note: You will also want to adjust the “Sizing” property. “Stretch Image” will probably work best. A sample report is also available for you to download HERE. Prior to designing reports, you should establish your preferences. Click on the Preferences block on the Navigator, or use the pull down menu Edit – Preferences. The preferences form contains tabs which group the preferences into related areas. The form itself should have enough information about each of the preferences so you know what to enter. If you would like to have the time of sunset each day be displayed on your splash screen and available for schedule of reports, you need to add the latitude and longitude of your location on the Preferences form. There are a number of ways to do this from using a GPS at your location, to going to various websites that provide that information when you enter a city or zip code. Here is a simple method. Go to Google Maps. Zoom into your location. Right mouse click on your location and select “What’s here?” On the top of the web page in the search box, is the latitude and longitude. They are even in the right format. Enter the first number as the latitude on the preferences form and the second number as the longitude. The Email tab contains the preferences to establish the connection to the SMTP server that will be used to send emails as well as the default values for the Email messages. If you are going to send password protected PDF attachments, enter the password here. 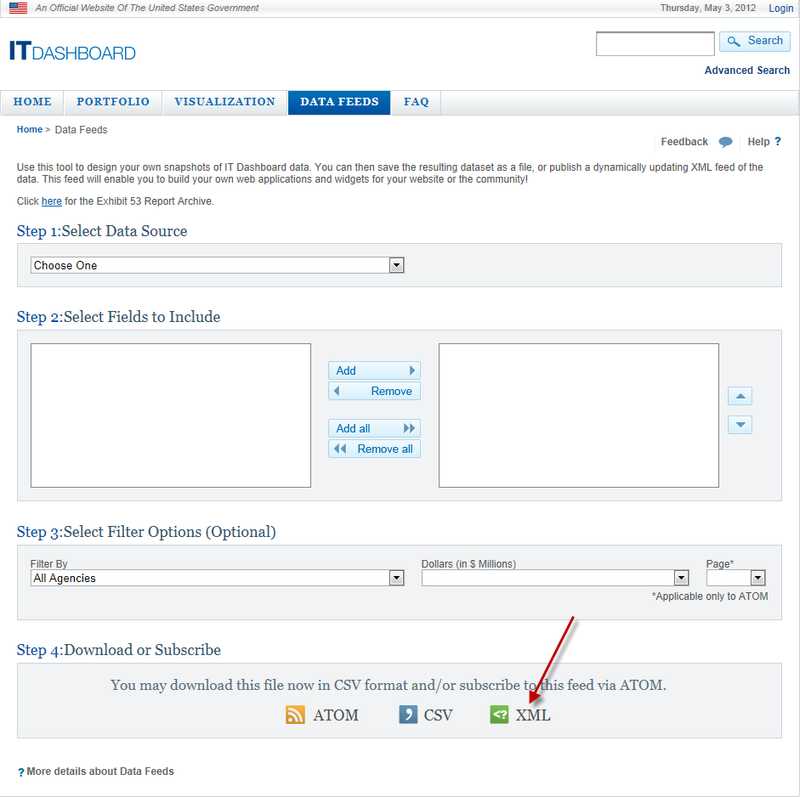 The FTP preferences include the required items to send a report file to an FTP site. By default the files will be sent to the root folder of the FTP site, but you can have subfolders and you can specify the subfolder as the destination folder when defining the Report Queue entry. Only reports processed from the queue can be sent to an FTP site. 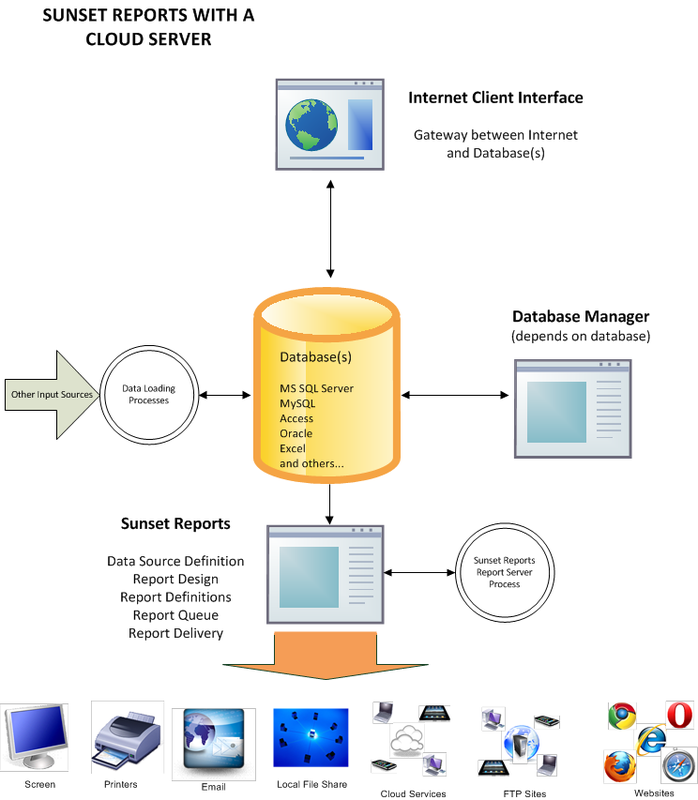 Sunset Reports has the ability to create a semi-dynamic web site that does not require a web server. This is ideal for creating a web site and not having the complications of a web server. Since Sunset Reports can automatically create web pages and update the web site, it is referred to as a semi-dynamic web site. The Web preference to “Create Home Page” if set to yes, will create an index.htm file in the repository so the repository can be a local static web site for reports and the home page will contain links to the files. Files indexed include PDF, HTML, HTM, and MHT. If an IndexMaster.htm file exists, it will be used as part of the Home Page. This allows you to create a custom home page with a logo. If you do not have this file, a default home page will be created. The repository may contain subfolders and these are treated as groups and will appear as a link on the parent index.htm and will open a new index.htm file created in the subfolder. This allows you to group reports and organize the static web site more. You might also use this feature to provide security on the website, using Windows security to give access to users by subfolder. The Data preferences are optional but very useful. By establishing a common data connection, creating data sources becomes real easy. The tab contains the preferences “Primary/Preferred Data Connection” (PDC) and “Secondary Data Connection” (SDC). These are data connection strings that are very specific to the database you are connecting to. Note that your reports are not just limited to these two data connections. By changing this preference, all report designs with the data source type PDC or SDC will be updated to the new data source. Creating the PDC and SDC is made easy by using the Report Designer wizard or the Query Builder. Does this definition describe Sunset Reports? Actually this definition is exactly what Sunset Reports does. You can define many sources of information from databases, Excel documents, or any other type of file created by another system. With the query builder, report designer, calculations, scripting, etc., information can be processed. The delivery of information can take many forms in terms of file formats. Delivery can be scheduled and there are several destination types including websites, shared folders, cloud services, email, and more. Designing web pages using the report designer with tables, labels, images, rich text controls, lines, shapes, navigation targets and navigation urls.